Step by step development of basic electric and magnetic theory, aided with mathematics and numerous sketches, for electrical engineering students pursuing diploma and degree courses in power engineering. The book is unique in its style of presentation. Independent thought process beyond conventional way of learning is essential for deep insight of any subject, and this book has been written with this philosophy. 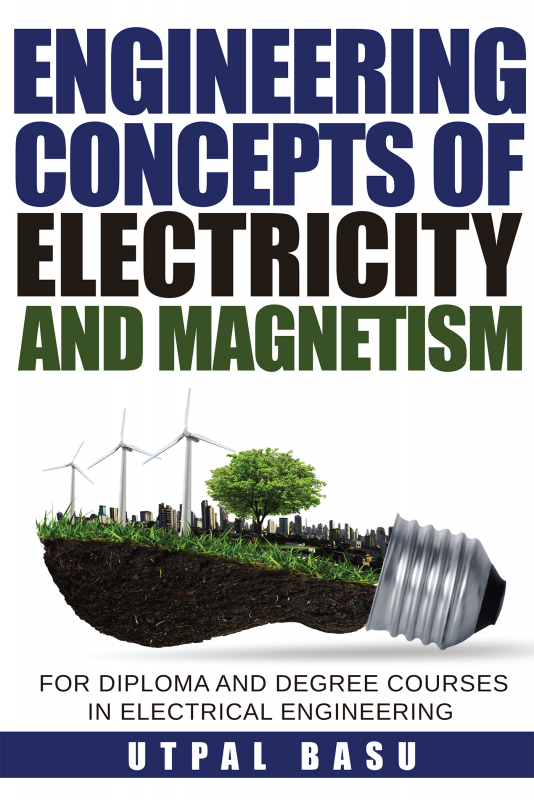 Some new concepts, topics, figures and terminology will be found in various places in the book, most significant one being the marked distinction between the potential energy (PE) and stored energy (SE). Such concepts basically emerged from author’s own thought process, and hence, remain open for debate and corrective criticism, expected mainly from the teaching fraternity. Utpal Basu is a veteran electrical engineer at Tata Steel Limited, Jamshedpur, in the state of Jharkhand in India. He is a life member of the Institution of Engineers (India). He presented a technical paper “An Approach for Modification of the Formula for the Eddy Current Loss in Thin Sheets” during 63rd. Annual Convention of the Institution in January 1983 at Chennai. Inspite of being a practicing maintenance engineer by profession, and never as any teacher, he maintains keen and continued interest in the academic front of the subject since his student days. His main interest area is unit systems. This book is an outcome of his several years of effort.